The back without even elegant, cubic Otto x Otto L table lamp by deMajo wins by their ingenious design in addition to irritation: The crystal plates that make up the lamp body can be rotated against each other and bring in new forms so again and again. 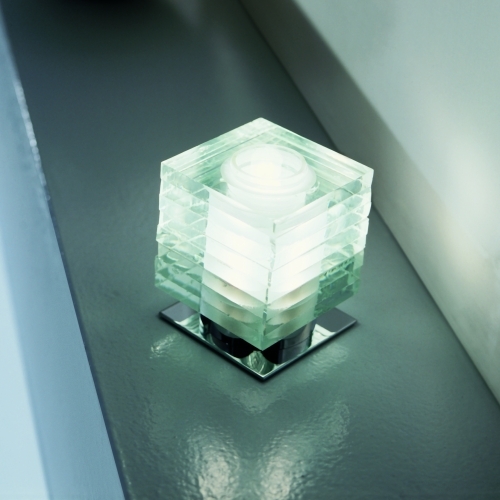 Deliberately omitted was also a reaching to the floor design of the luminous cube. Instead, the crystal plates were mounted on a base of chromed metal. A trick that can shine in an even more exclusive light the Otto x Otto L.